Archive: 2014 September - Rajasthan Gases Ltd.
Ravi O Agrawal has submitted the disclosures under Reg. 29(2) of SEBI (SAST) Regulations, 2011. 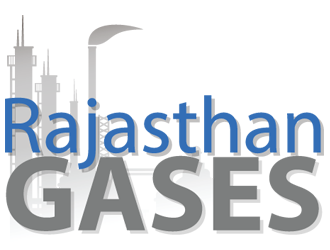 Rajasthan Gases Ltd . has submitted to BSE a letter received from Smt. Uma Danwar, intimating about change in promoters holdings. The said letter was received by hand delivery on September 16, 2014. September 16, 2014: Rajasthan Gases Ltd . has submitted to BSE a letter received from Smt. Uma Danwar, intimating about change in promoters holdings. Rajasthan Gases Ltd have received a letter from its shareholder Shri Ravi O Agrawal informing the Company that he has purchased 883481 shares i.e. 16.45% approx of the Company from August 27, 2014 to September 11, 2014 through open market. Rajasthan Gases Ltd has informed BSE that the Company have received a letter from its shareholder Shri Ravi O Agrawal informing the Company that he has purchased 883481 shares i.e. 16.45% approx of the Company from August 27, 2014 to September 11, 2014 through open market. September 11, 2014: Rajasthan Gases Ltd has informed BSE that the Company have received a letter from its shareholder Shri Ravi O Agrawal informing the Company that he has purchased 883481 shares i.e. 16.45% approx of the Company from August 27, 2014 to September 11, 2014 through open market. Nagpur: The L7 Group, a city-based business house, has taken an over 10% stake in Rajasthan Gases Limited (RGL), a company from Jaipur listed on the Bombay Stock Exchange ( BSE). Rajasthan Gases Ltd has informed BSE that the Register of Members & Share Transfer Books of the Company will remain closed from September 26, 2014 to September 30, 2014 (both days inclusive) for the purpose of Annual General Meeting (AGM) of the Company to be held on September 30, 2014.